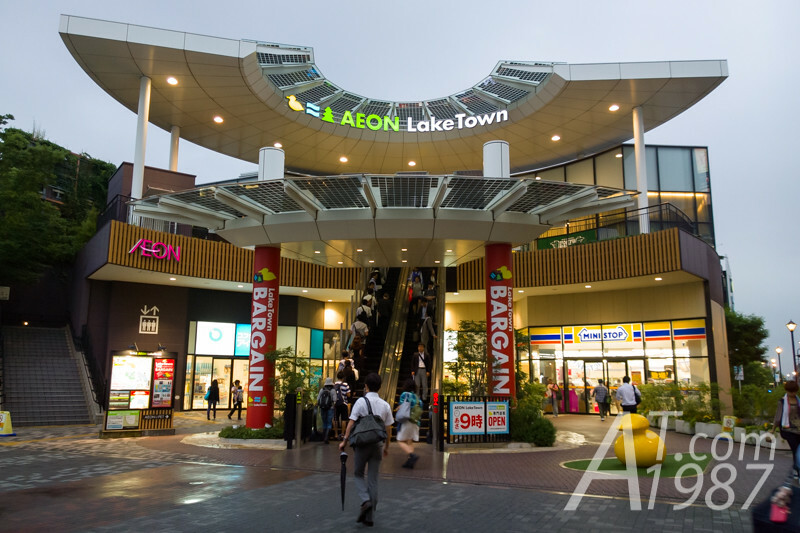 AEON LakeTown is an AEON’s shopping center where is beside the lake in Koshigaya city, Saitama. It consists of 3 connected buildings: Kaze, Mori and LakeTown Outlet. I started my travel by taking JR Keihin-Tohoku/Negishi Line from Omiya Station to Minami-Uruwa Station. Then took JR Musashino Line to Koshigaya-Laketown Station. I found an entrance to Kaze building when I exited the station. 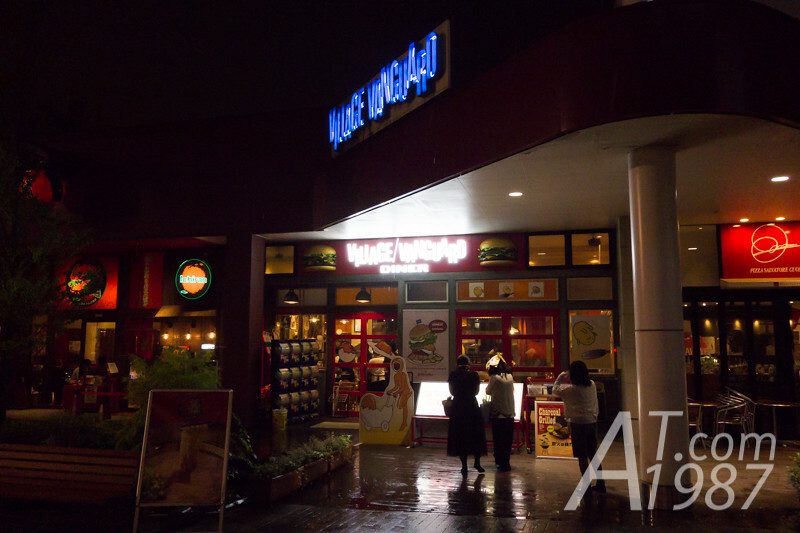 VILLAGE VANGUARD DINER is in Garden Walk zone where restaurants are in. It took quite a time to walk because it is outside of Mori building. I was little surprise there weren’t many people. 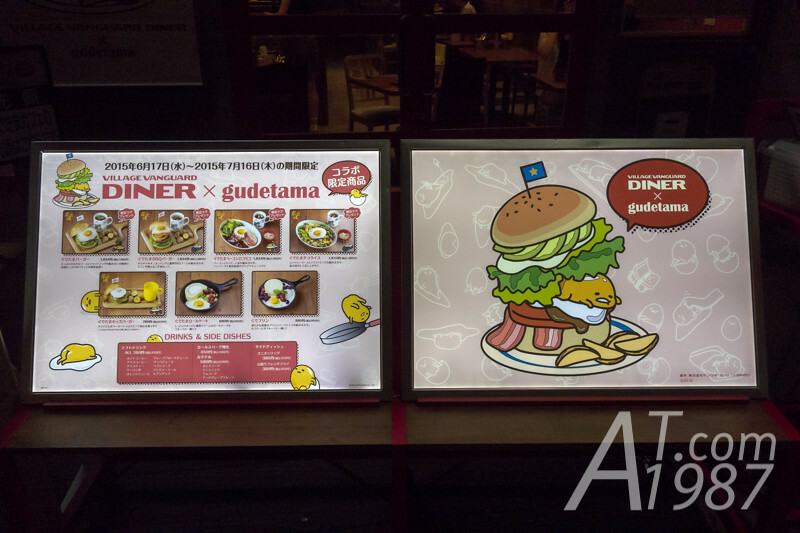 But Gudetama and Nisetama photo standee in front of the restaurant made me sure I went to the right place. The special menu was shown in front of the restaurant. 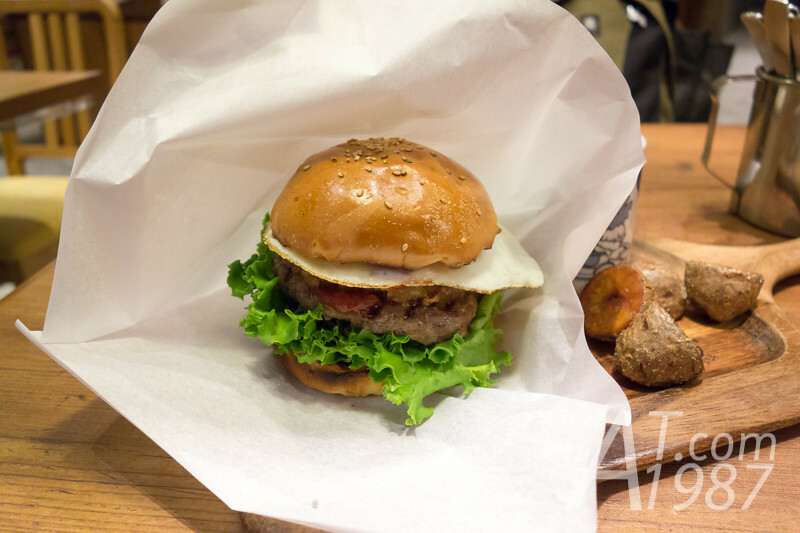 Most of them were burgers because they are VILLAGE VANGUARD DINER specialty. Other dished were Taco Rice, Loco moco and desserts. 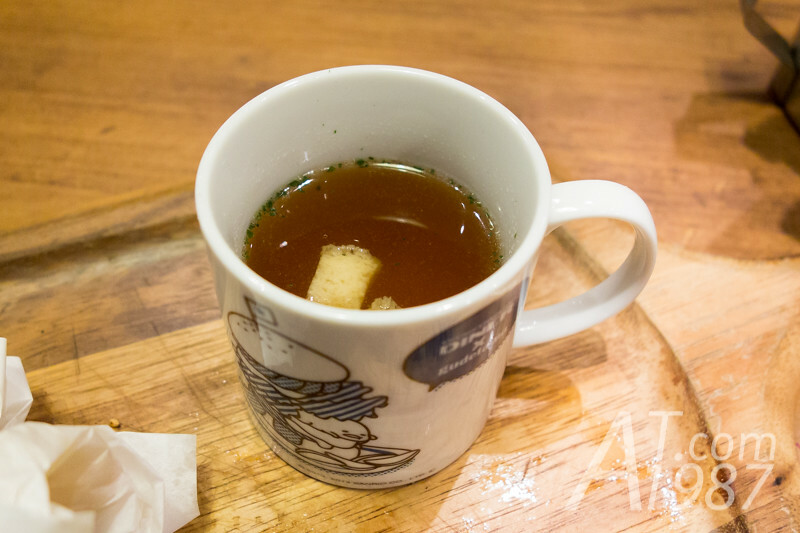 What made the main dishes special were you can bring a special designed gudetama soup mug home. 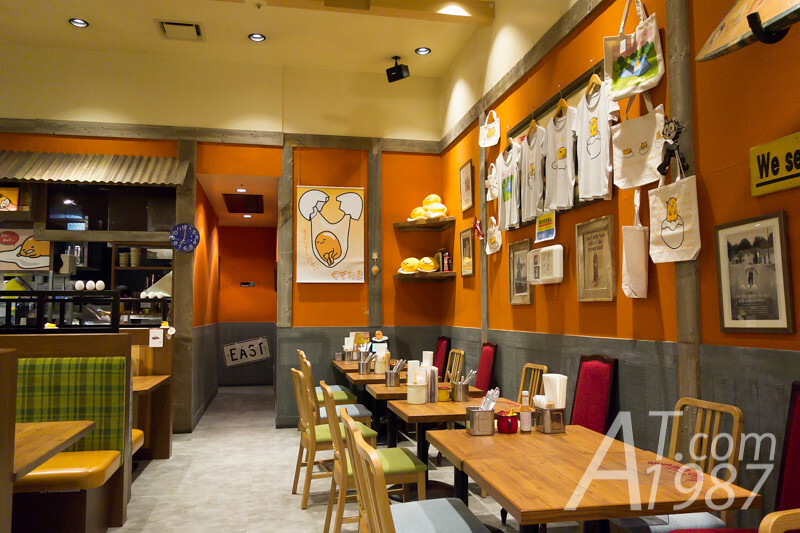 The retro style interior was added with gudetama decoration. 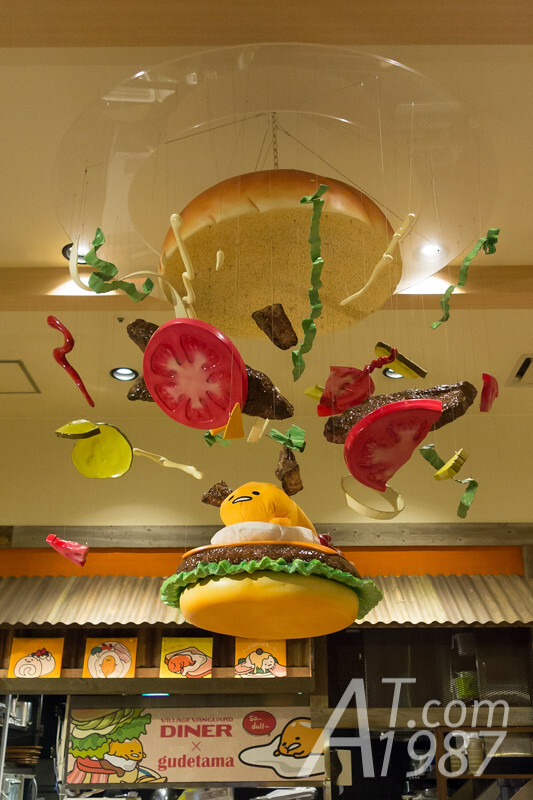 Lazy egg and burger ingredients were floated at the center of restaurant. Other than our usual utensils, sauce bottle and sauce packs. There is a Gudetama book on the table. 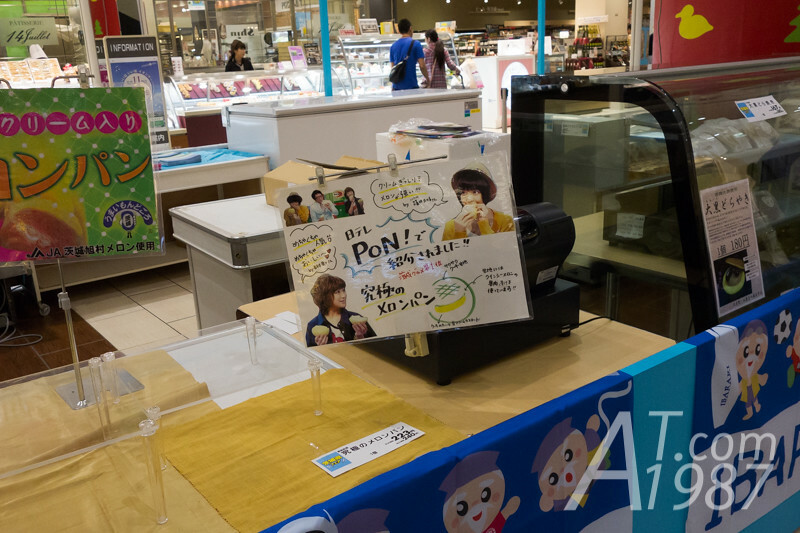 Some table also got portable DVD player with the lazy egg animation. 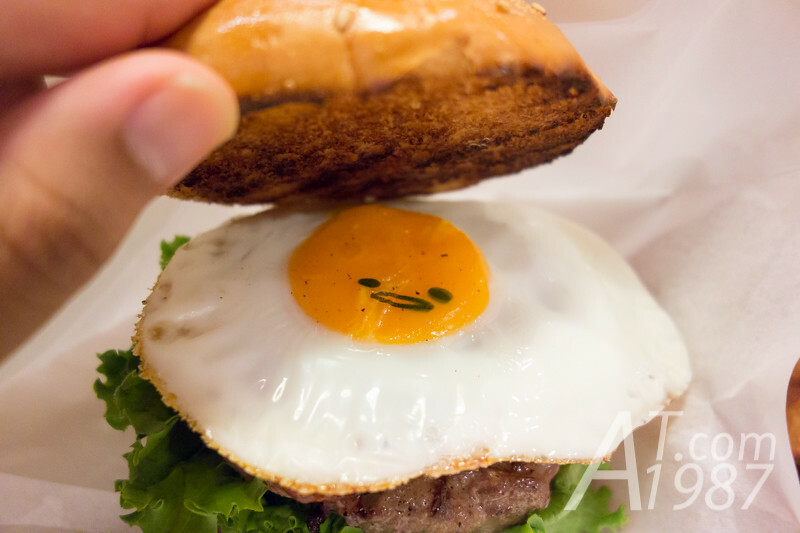 I ordered a Gudetama BBQ Burger which consisted of meat patty, lettuce, fried onion rings, barbecue sauce and fried Gudetama. It was served with fried potatoes and onion soup in special mug I wrote above. 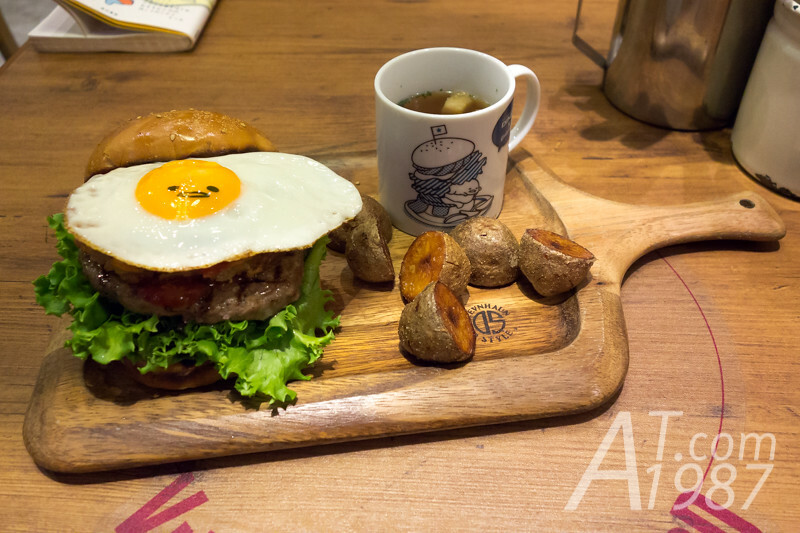 To eat a burger, you can use fork and knife or our usual hands. The restaurant prepared the wrap paper for those who prefer later. For the taste. I think the ingredients was good. Patty was grilled well. But I prefer more strong taste sauce. The whole fried potato gave me a full taste of potato. The soup went well with the burger. About the mug which I could bring it back home. At first I think how to bring it back to my home. I had to wash and pack it properly. It seemed the restaurant know this. So it gave customers the new mugs separately. The waitress who brought mine asked me to check it before brought it back. I finished my dinner about 8 PM. At first I wanted to check the shops LakeTown Outlet after dinner but it’s closed. So I took a walked in Mori and Kaze buildings and got shoes waterproof spray from AEON Green Box and discounted clothes at Uniqlo. 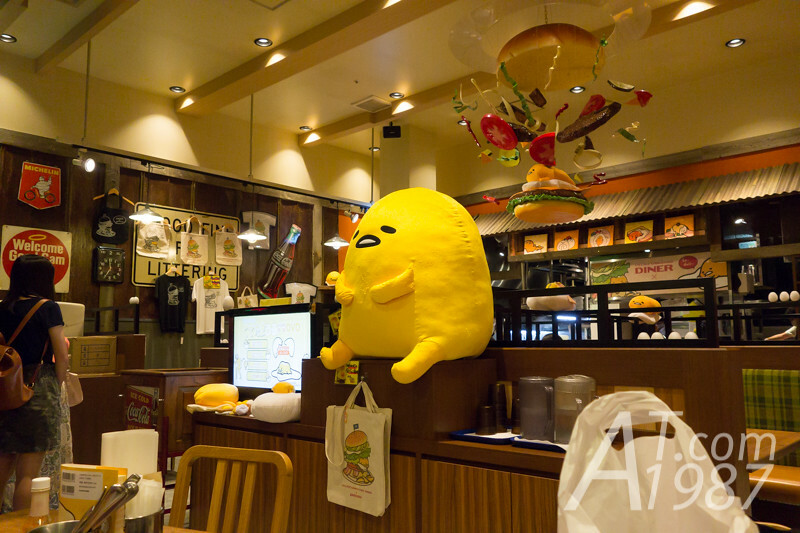 Collaboration between Village Vanguard and Gudetama didn’t end only at restaurant. 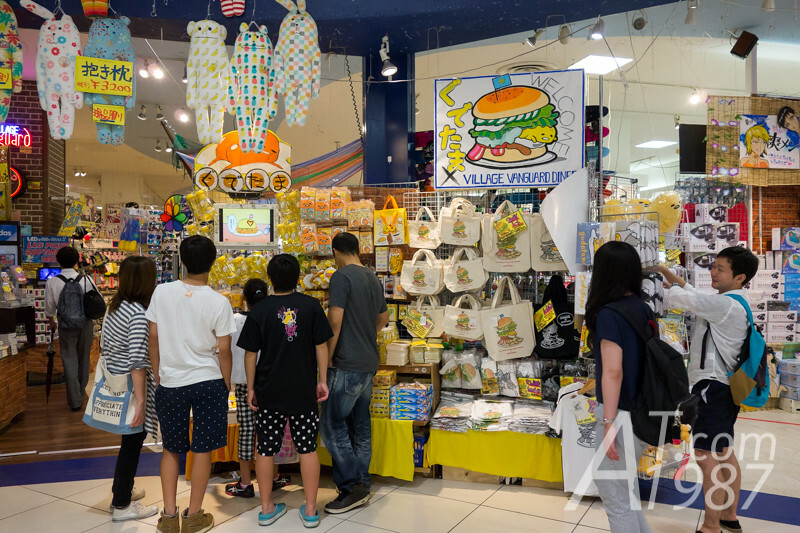 Their original shop which sells books, CD and gimmick items also sold special Gudetama goods. 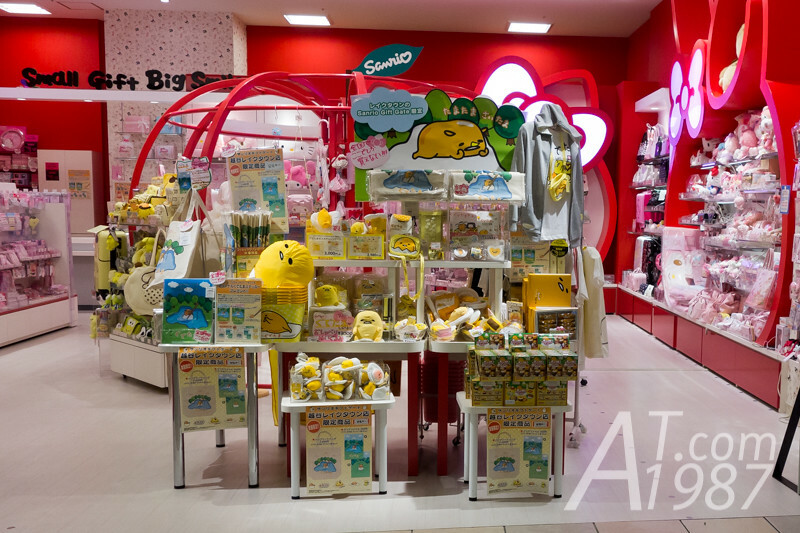 Sanrio Gift Gate where Sanrio goods are sold also sold Gudetama special goods. I didn’t buy any of them because the tote bag is too small and tee pattern doesn’t go well with me. I think getting the mug from this event is enough. 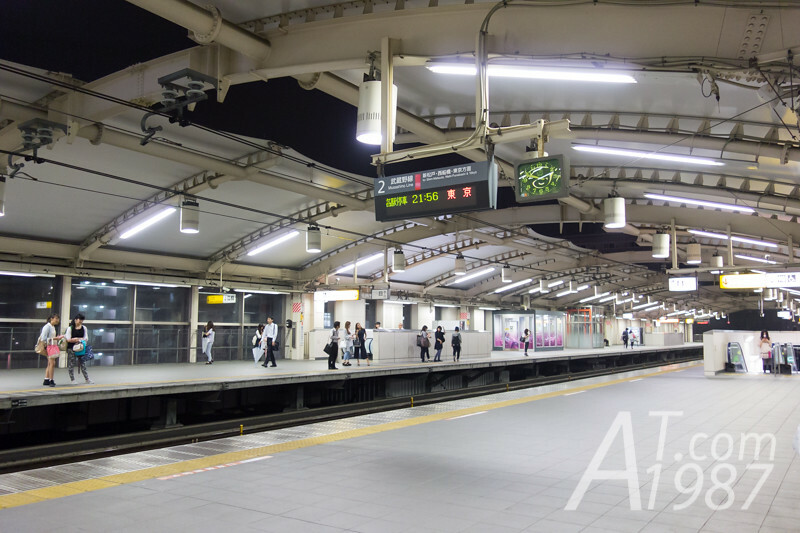 I walked back to Koshigaya-Laketown Station and took JR Musashino Line. I got off the train at Minami-Nagareyama Station where I could take a Tsukuba Express train back to Minami-Senju Station. This concluded my eighth day of this trip. Next time I will be in idol fan mode again to write about my experience at GEM photograph and handshake events. Please look forward to it.